The rest, 74% of the PM 2.5 pollution, comes from other cities in the National Capital Region and from outside India. 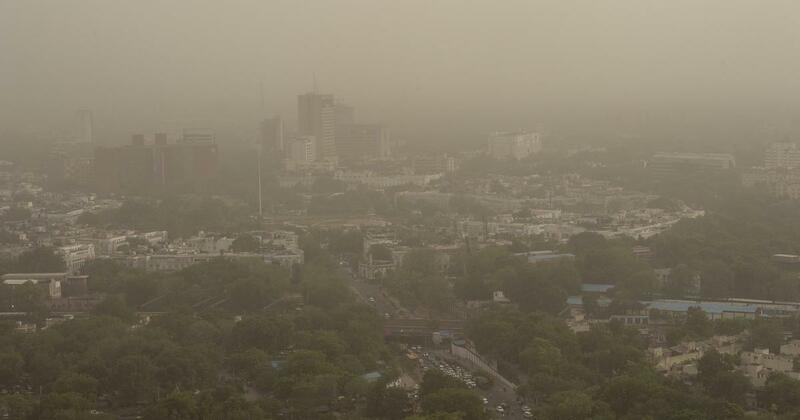 A study by The Energy and Resources Institute has found that Delhi itself contributes an average of 26% to its fine particulate matter concentrations in the summer months, with the figure increasing to 36% during winter. 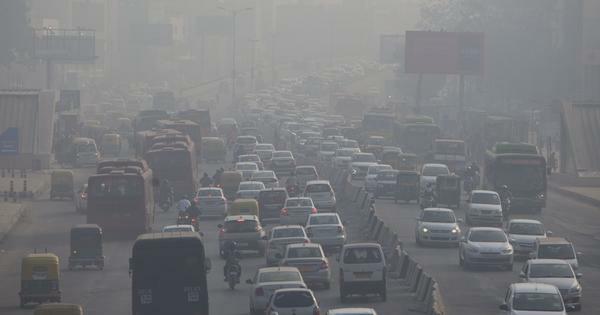 The rest, 74% of the PM 2.5 pollution, comes from other cities and towns in the National Capital Region, and from outside India, the Hindustan Times reported on Friday. PM, or particulate matter, is a fine mixture of solids and liquid droplets in the air, and PM 2.5 is a category of pollutants that are less than 2.5 micrometres in diameter. PM 2.5 pollutants are small enough to lodge themselves into human lungs. Several diseases such as strokes, lung cancer and upper respiratory tract illnesses are related to particulate matter exposure. The study, “Source Apportionment of PM2.5 & PM10 of Delhi NCR for Identification of Major Sources”, was commissioned by the Ministry of Heavy Industries and Public Enterprises. It was jointly conducted by the The Energy and Resources Institute and Pune’s Automotive Research Association of India between November 2016 and March 2017. “During summers, at least 74% of Delhi’s PM 2.5 load comes from sources located outside the city and during winters, external sources contribute around 64% of these ultrafine particles,” TERI’s Earth Science and Climate Change Division Associate Director Sumeet Sharma told the Hindustan Times. The study said that in the summer months, at least 33% fine particles come from outside the country, while around 17% come from areas outside the NCR. On an average, NCR towns contribute to around 24% of these particles. During the winter, 64% of Delhi’s pollution comes from external sources, with around 13% coming from outside India. According to the study, industries operating in NCR and biomass burnt in rural kitchen and agricultural fields contributed significantly to Delhi’s pollution. However, the study did not completely take into account the contribution of agricultural burning as the monitoring and modelling periods did not include the month of October, when crop burning is generally at its peak. As remedial measures, the study suggested phasing out biomass use in NCR by increasing the use of liquefied petroleum gas in rural households, use of agricultural residues in power plants and industries in place of high ash coal and open burning in fields, strict implementation of BS-VI norms by 2020, vacuum cleaning of roads, controlling dust from construction activities, among others.